This books Moderator was Robin (above) who went ALL out for this magical book! Just a little plug but I'm so proud of her, but everyone needs to know that Robin is getting her first book published titled, "Remembrandt" THIS fall and we are all so proud of her! 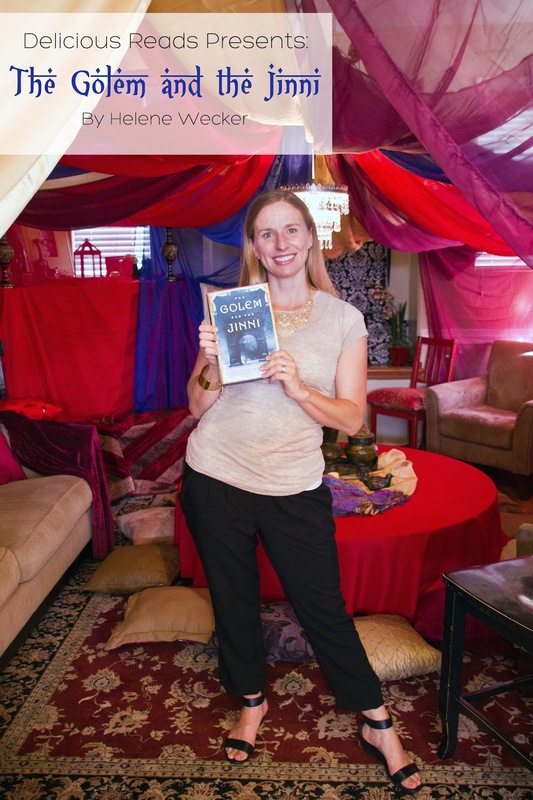 Check out her website HERE to learn more about Robin and her book! "What IS a golem or a Jinni for that matter??" Good question, we wondered the same thing before we started reading. From the title we wondered if a Golem was similar to theone we knew from the LOTR (it is NOT) lol, and we thought the jinni might look something out of Aladdin (not the case. The photos below are a closer representation to what a Golem and Jinni traditionally looks in mythology (not necessarily in Weckers book.) Helene used the traditional ideas of a Golem and a Jinni and created characters with curiosity, an independent mind and humanity. She also created them to look more human so that they could blend into society. 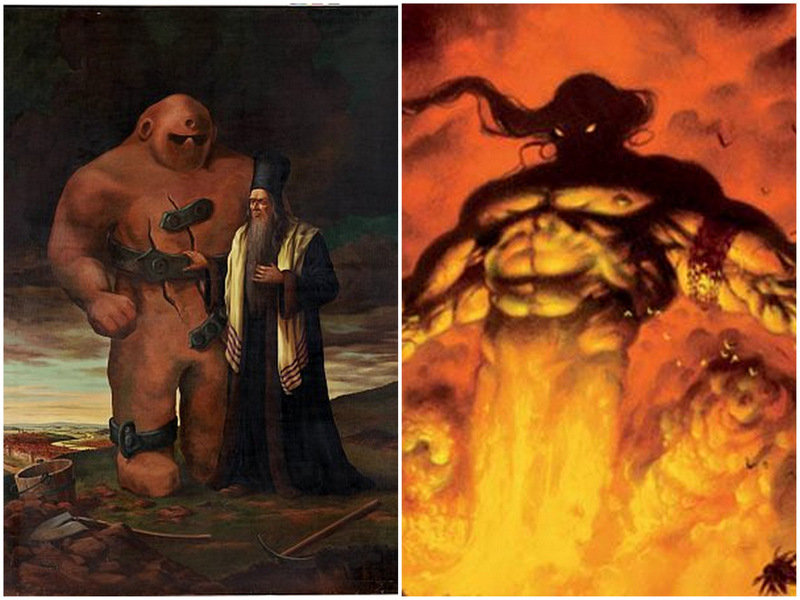 In Jewish myth and folklore, a golem is a human-like figure that is brought to life by powerful magic. They are powerful but simple-minded, and must obey their masters in all things. Golems are usually made from clay, though they can also be made of wood or even ash. 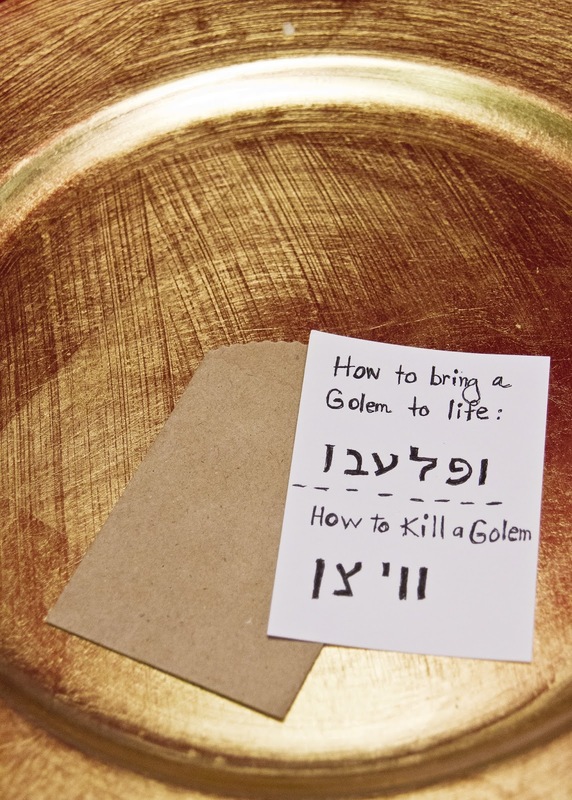 The magic that brings life to a golem comes from Kabbalah, a mystical, esoteric branch of Jewish teaching. The Jinni:In Middle Eastern and Muslim mythology, a jinni (also djinni or genie) is a spirit made of smokeless flame. 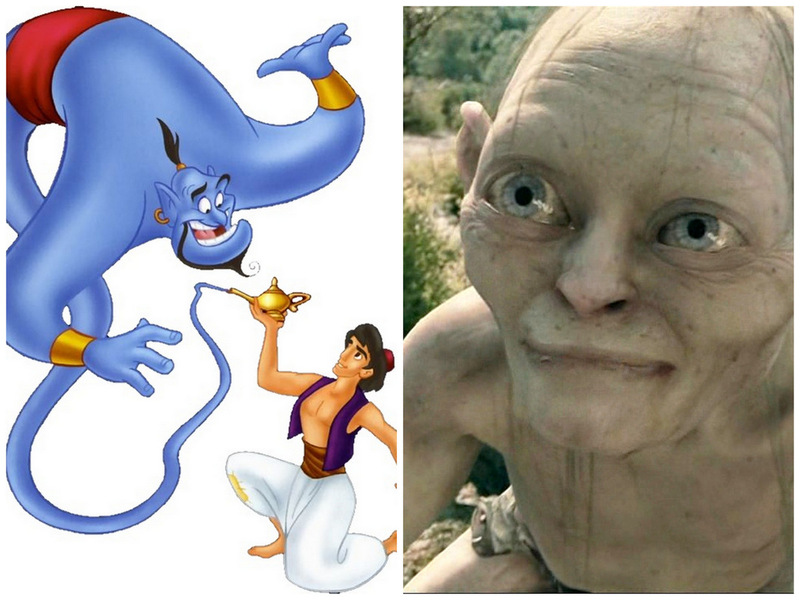 A jinni (or, to use the plural, jinn) is usually invisible to humans, but can be seen when it wants to be. In Muslim belief, God created the jinn from fire, as humans were created from earth and angels from light. 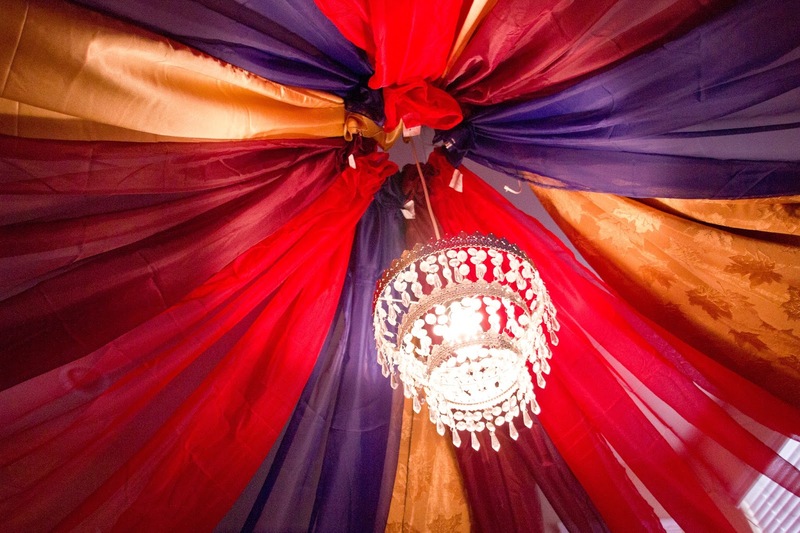 Stepping in the door for book club this month felt like stepping into another world, everything looked AMAZING! 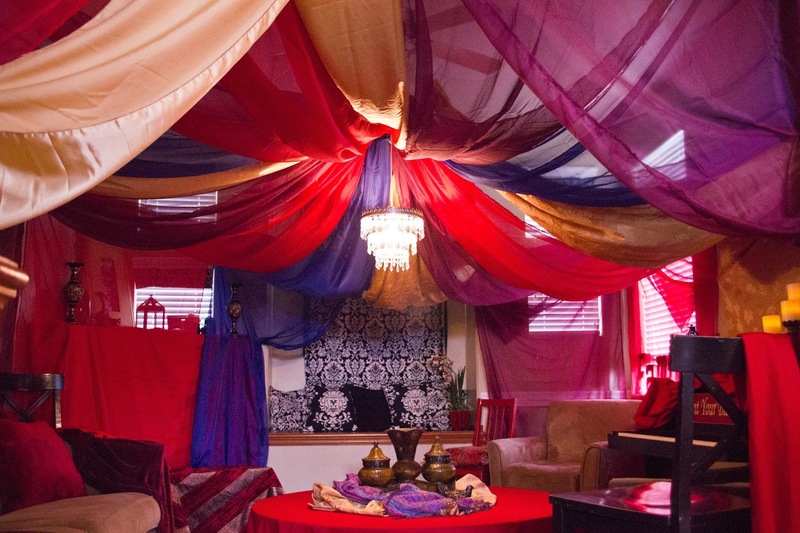 Robin spend days creating a middle eastern lounge for all of us. 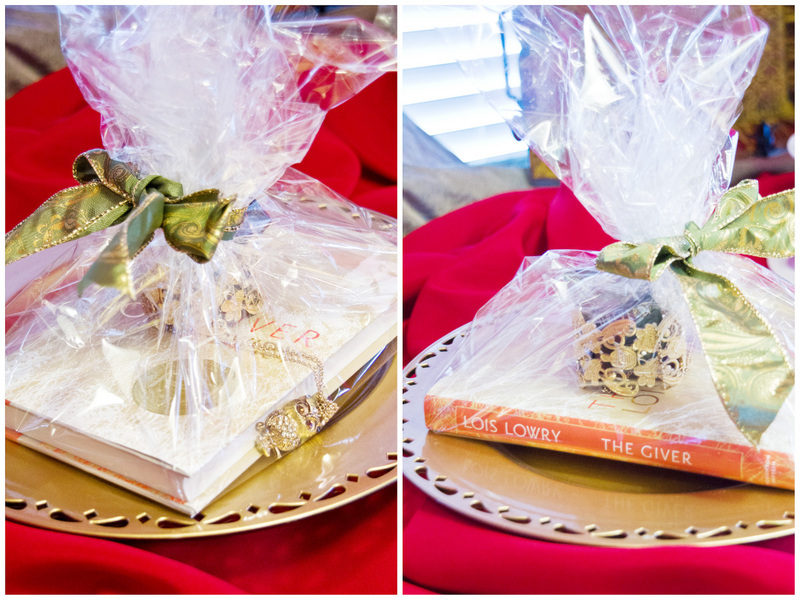 There were little touches and details everywhere you looked that related to the characters and the book. 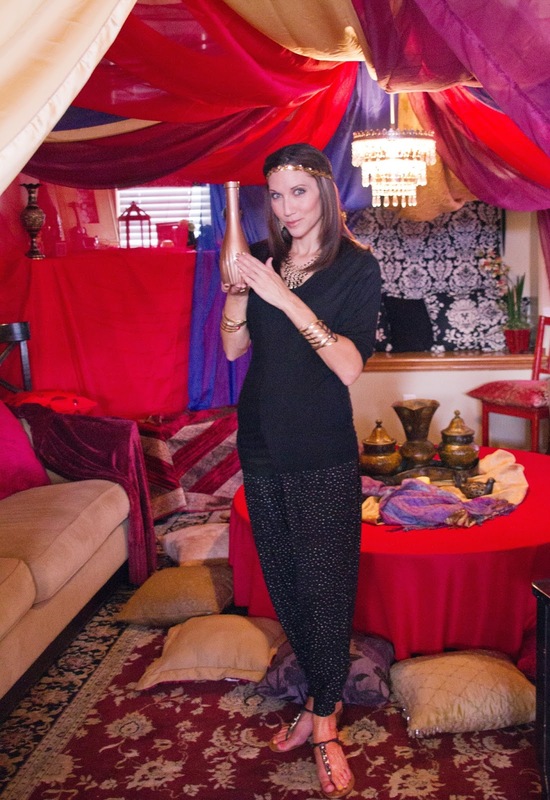 I came to book club wearing my "Jinni bands"
You can see in the picture below that I'm rubbing the magic flask hoping to free a jinni. Since Golems are usually made out of clay, we thought it would be fun to have our own Golem making station! 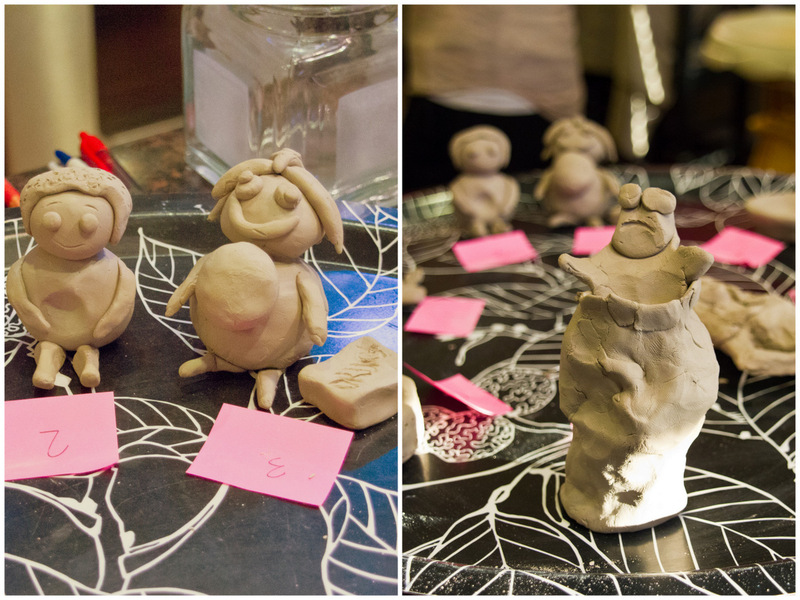 Each book club member created their own Golem or clay creation and then we all voted on the one we liked best. 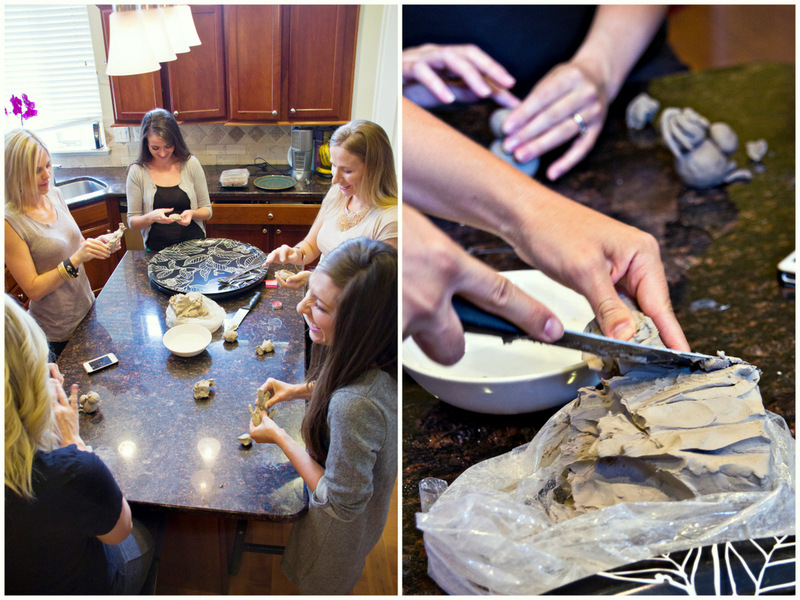 You can see some examples of the "sculptures" created by some of our members below. 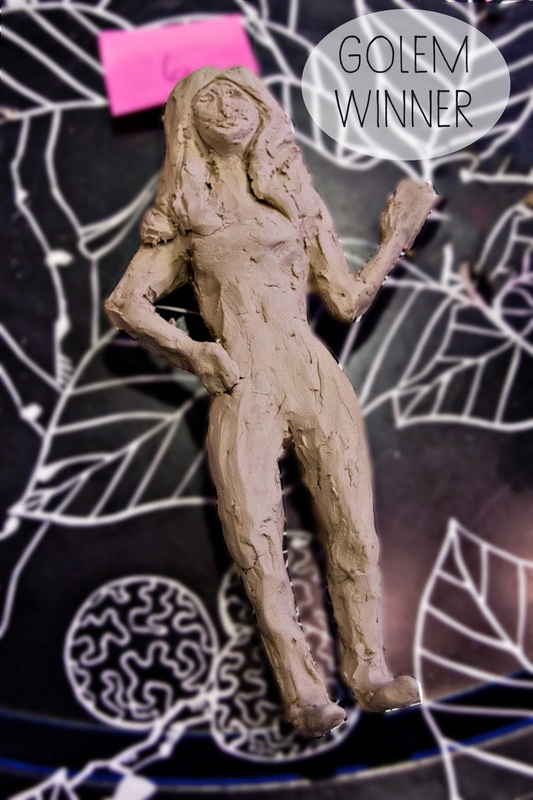 In the end, we voted on Brooke's (seriously good looking) sculpt of Chava, the Golem from the book. She deserved to win with skills like that! Brooke won the prize below. 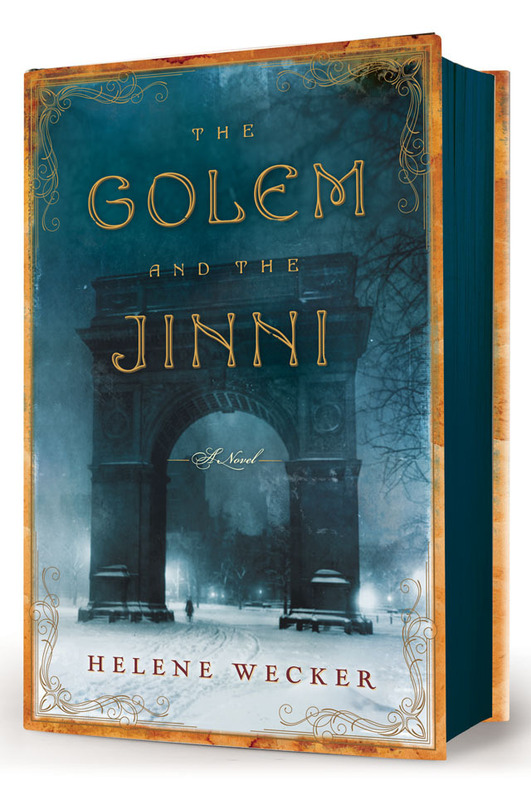 The Golem and the Jinni is a powerful, vivid novel that pulls religion, folklore and magic into a fascinating point in American history and will pull you right in along with it. 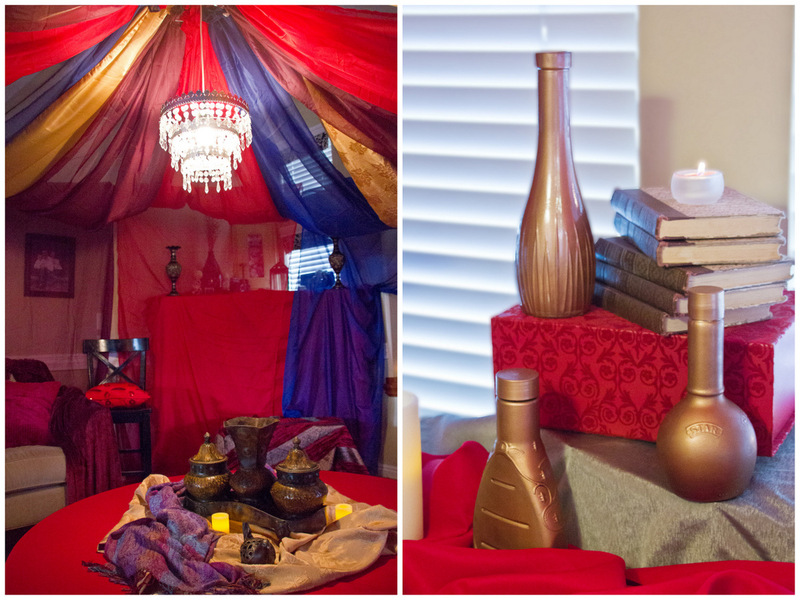 Want to see more photos, menu ideas and inspiration for The Golem and the Jinni? 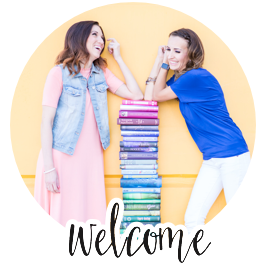 Then check out PART II of this post! I love it. The pictures turned out so well.